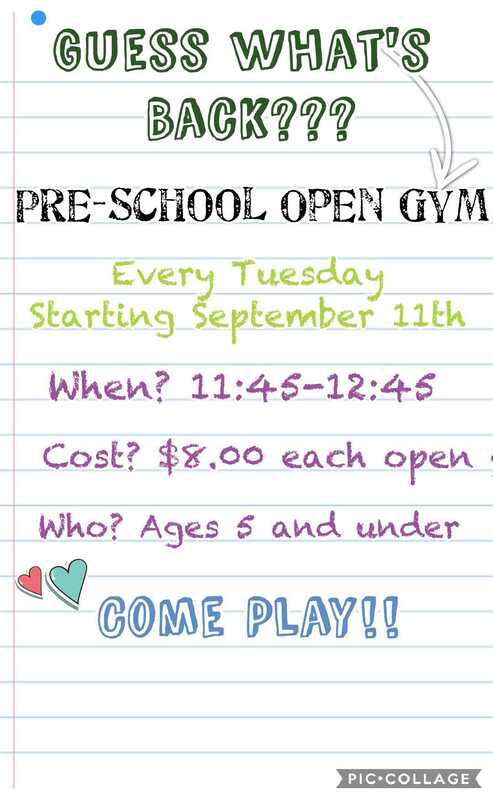 Pre-School Open Gym is a supervised, unstructured play time in our team gym with PIT! This hour-long open playtime is a fun time for kids to let loose and burn off some energy. Jump on the trampoline, jump in the pit, climb on our blocks, or crawl through the tunnels! Have fun in our safe, fun environment.